​Super Bowl spending amounted to $14.8 billion, or $18.17 per person, this year, according to the National Retail Federation. The per-person expense is tied with last year’s expense and is the second-highest in history after a record $82.19 in 2016. The total expense was down from last year’s $15.3 billion, as fewer people planned on watching the game (182.5 million this year compared to 188.5 million last year). ​In recent years, Americans have tossed traditional favorites Bud, Busch, Miller, and Coors to the wayside in preference of more select brews. Craft beers have risen in sales and production in recent years. However, brewers fear that growth may be stalling. 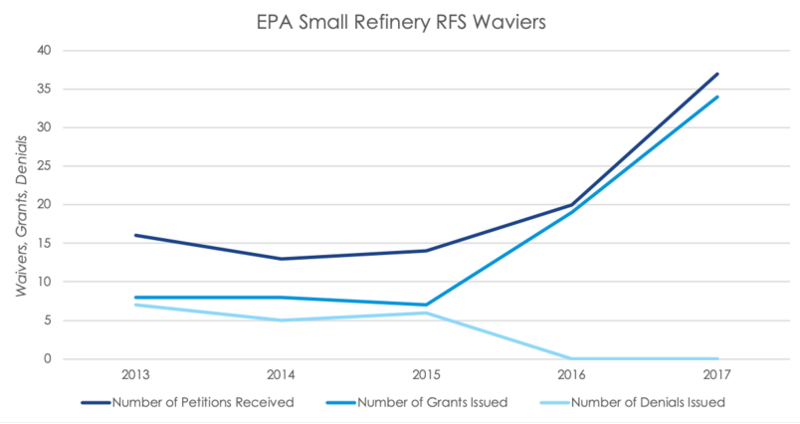 According to the Brewers Association, afer 15% growth in volume in 2015 and 18% growth in the two years preceding, volume growth slowed to 6% in 2016 and 5% in 2017. Last year, overall retail beer sales fell 1.2% and many suspect Americans’ alcohol preference is shifting from beer to liquor. ​The US, European Union, and New Zealand collectively produce and sell more than 80% of the world’s cheese. 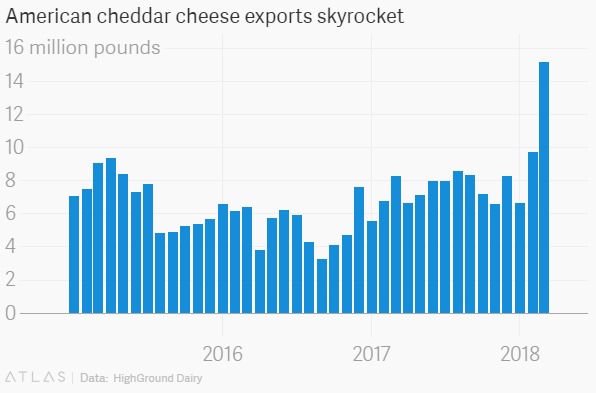 Due to weather events in New Zealand and Europe, American exports of cheddar cheese have increased 83% in the first few months of 2018 from the same period of 2017, according to HighGround Dairy, a market intelligence firm that is focused on the dairy industry. 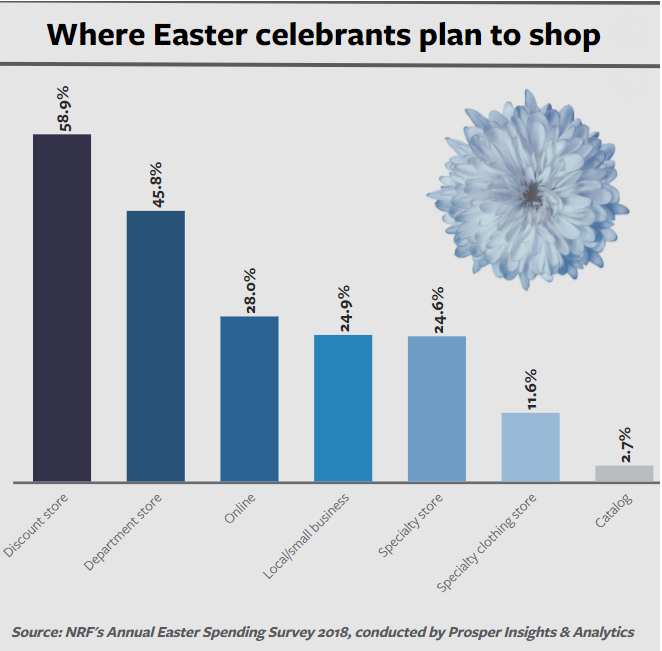 ​Easter spending is expected to reach $18.2 billion this year, narrowly down from last year’s $18.4 billion. According to the National Retail Federation and Prosper Insights & Analytics, this year is still the second-highest year on record. Eighty-one percent of Americans will celebrate the holiday, and the average expenditure is expected to reach $150 per person, or $2 per person shy of 2017’s record.